Trivia Night is our largest social event and fundraiser. Every year we laugh till we are in tears. You don't want to miss it. Contact the club to RSVP or to sign up as a sponsor. Each ticket costs $50 for the meal, two drink tickets, and a fun night of trivia competition. The funds will support our many service projects including "I Like Me" books, scholarships, Safety Town, training of foster care parents, and water wells in poor communities. 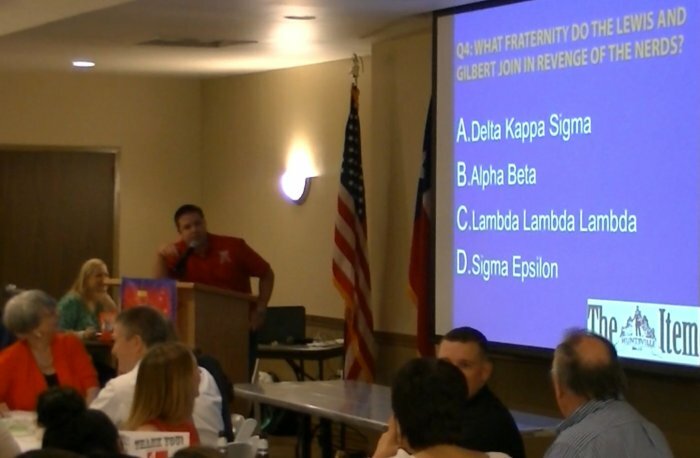 Businesses, please consider using some of your advertising budget to SPONSOR the Trivia Night. Silver Level Sponsor - $250 - Send us a logo and we will advertise your sponsorship at before, during, and after the Trivia Night. Gold Level Sponsor - $500 - This level includes all the above, PLUS a social media sharing campaign through our membership on Facebook, Twitter, and Instagram. On facebook alone, our membership has a potential reach of more than 5,000. This is larger than the circulation of our local newspaper. Individual tickets are available for $50, payable at the door. Please RSVP so we know to expect you. Thanks!